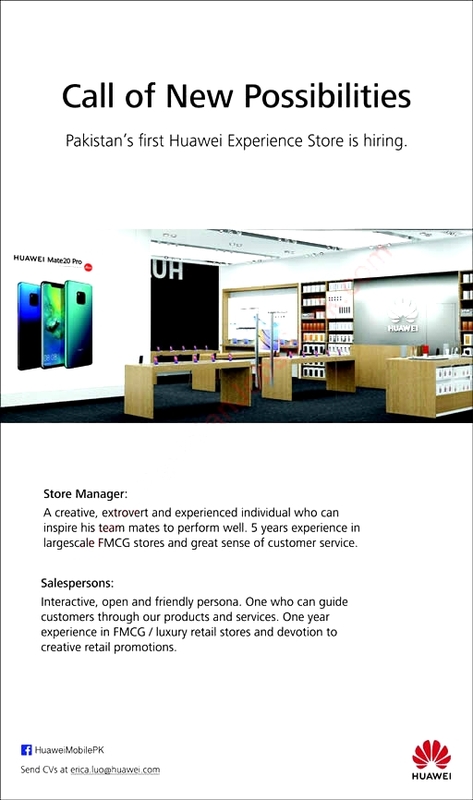 Huawei Pakistan Jobs November 2018 Salespersons and Store Manager for Experience Store Latest in Pakistan, Express on 27-Nov-2018. B.Sc. / M.Sc. / M.A. / B.A.